Due to rapid urban development, shallow unconfined aquifers in a lot of coastal regions have becomed highly vulnerable to contamination from sea water intrusions. The SEAWAT program is designed to simulate variable-density ground-water flow and solute transport in three dimensions. The underlying concept of SEAWAT is to combine an existing flow code with an existing solute-transport code to form a single program that solves the coupled flow and solute-transport equations. One benefit of the SEAWAT approach is that improved and updated versions of the flow and transport codes can be incorporated into the SEAWAT program to take advantage of recent improvements. Another benefit is that users familiar with the constant-density versions of the flow and transport codes can easily apply the SEAWAT program to variable-density ground-water problems. Saltwater intrusions simulations tend to be complicated, especially in 3D but with GUI like Visual MODFLOW you can set up 3D model in 25 minutes. Of course, I was using SEAWAT from USGS in this course. 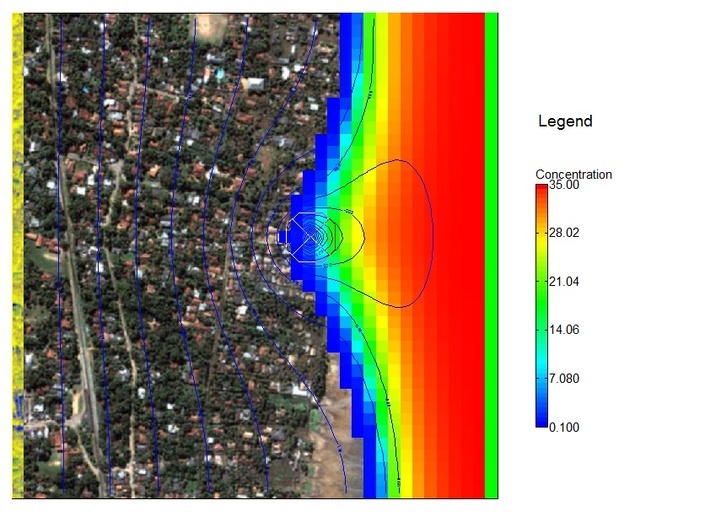 Add new quality to your groundwater modeling skills. If you are using other software as GUI for SEAWAT knowledge you gain on this course can be easily transferred!